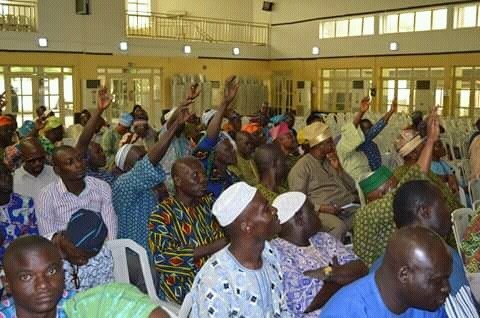 On the invitation of the Lagos State Government, SPACES FOR CHANGE|S4C officially presented its plans to draft the Guidelines on Forced Evictions at the Monthly Interactive Session of Stakeholders & Community Development Practitioners in Lagos State held on October 26, 2017. The Special Adviser to the Lagos State Governor on Communications and Communities specially invited S4C to the forum. S4C team comprised of staff members and representatives of the network of informal slum communities, called the Communities Alliance Against Displacement (CAD). Over 150 representatives from all 57 Local Governments and Community Development Councils within Lagos State were in attendance, including the representatives of various ministries. 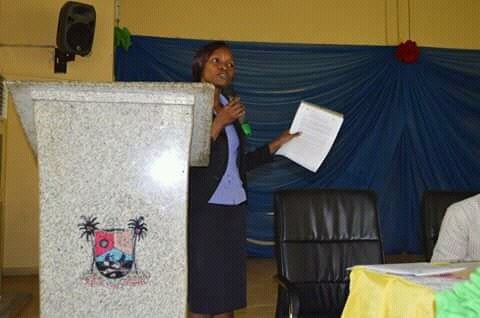 The forum serves as a useful platform for the 2-tiers of government (State and Local Councils) to discuss metropolitan challenges, disseminate information, address complaints etc. Beginning from October 2017, S4C been synthesizing the key findings of its 5-year long research and documentations on forced evictions, including the ongoing participatory action research for urban policy reform, into an eviction guideline. An initial draft currently underway proposes an official prohibition of eviction or demolitions without court orders, proffers a new definition for land occupiers, establishes the procedure for eviction of occupiers, elucidates the role of security operatives during demolitions, among other provisions. 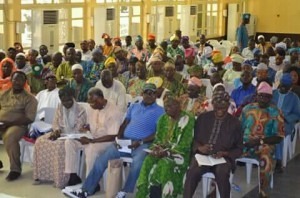 S4C’s Aizighode Obinyan presented the myriad issues under consideration in the initial draft to the large audience. She advocated that the draft, when concluded, should be considered for executive adoption. The advantages of having such a guideline are numerous. First, it aims to inject human rights prescriptions and global best practices into Lagos State’s urban governance architecture. Secondly, the guideline recognizes that there are circumstances where evictions may be necessary; and prescribes appropriate procedure for conducting such exercises, while allowing for meaningful engagement, compensation, grievance remediation, resettlement, police-civilian relations, among others. Thirdly, the guidelines proposes legal standards for mitigating the oft adverse impacts of forced displacement. After S4C’s presentation, scores of government officials and community leaders rose their hands to ask questions. Some of the questions asked include: How soon would the draft be completed? When could it likely be adopted or passed into law? Will the Guideline help to regulate the unprecedented migration to the city of Lagos? 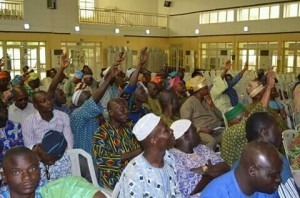 Would the guideline preserve indigenes right to land title and peaceful habitation? From the government side, there were concerns that the proposed definition of occupiers is too broad and may protect informal settlers on the land. These questions provide useful feedback that would enrich the continuing drafting process.